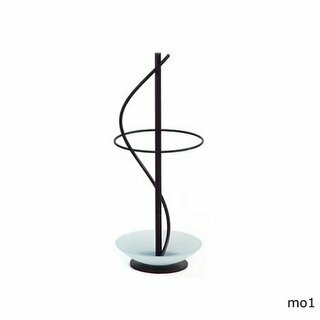 Every now and again someone makes an umbrella stand that I don't really need, but that I'd like to have. Such is the case with the mo1 from the Marco Zanuso Jr. collection. It's a very simple piece that somehow speaks to me. It says, "go out and get an umbrella so you'll have a reason to buy me and use me." Now if only they made a Zanuso umbrella I felt compelled buy, they might have a customer. If you feel compelled to buy the mo1, it will cost you $520. a. note. about. comment. moderation.